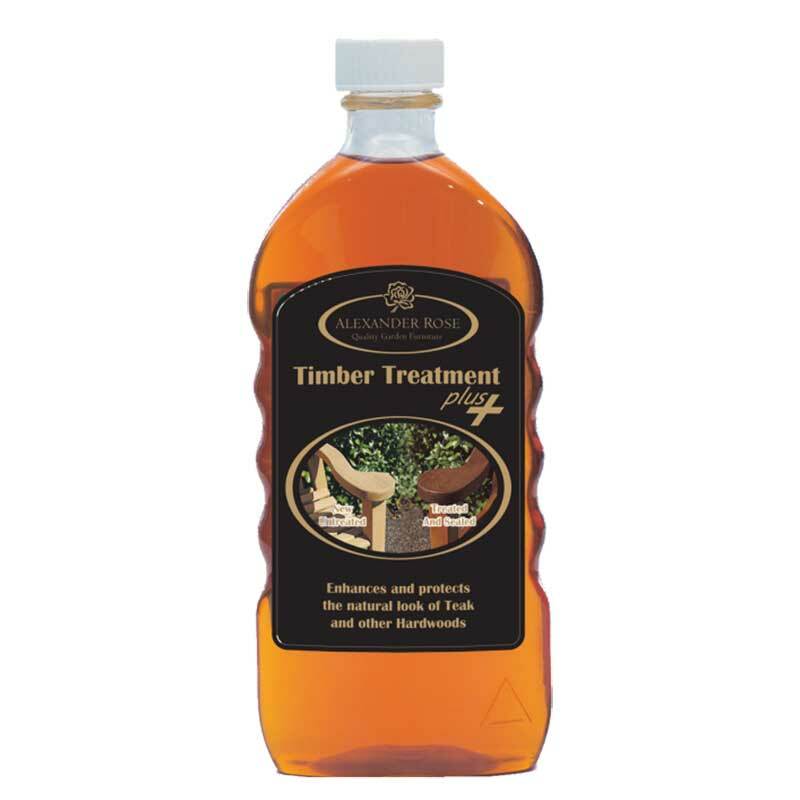 Protects the natural look of all hardwood timbers. Alexander Rose manufactures garden furniture which will last for many years. Over time, as part of the natural weathering process, cracks and splits will appear in the wood particularaly on the end grain and to a lesser extent on the surface. The drier the wood, the more cracks will appear due to the evaporation of the natural oils and minerals in the wood from exposure to the elements. As with most hardwoods, this is a normal characteristic for any timber which remains outdoors. 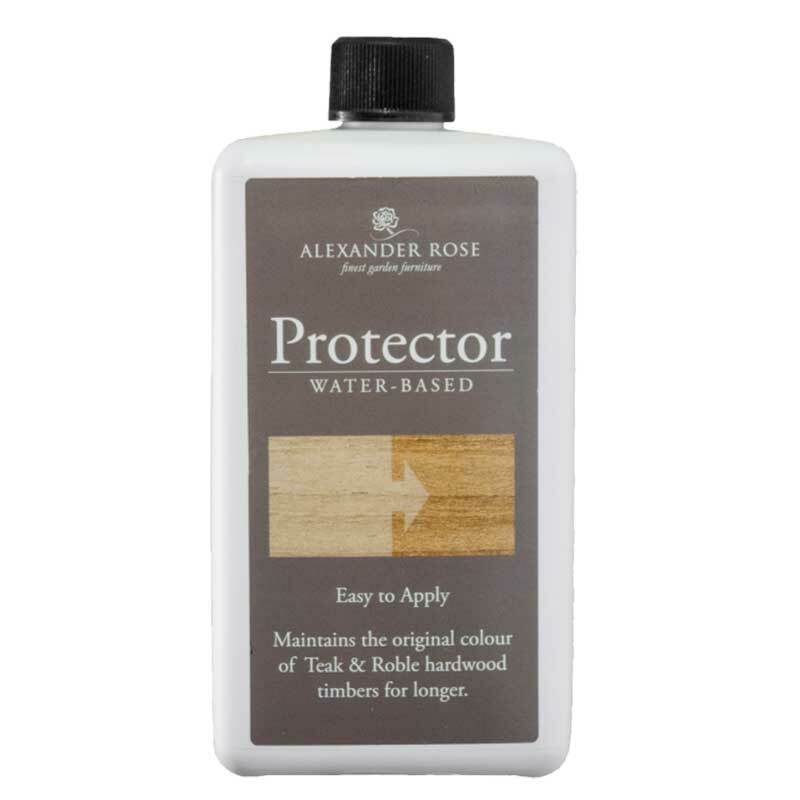 Alexander Rose furniture is designed with this in mind and its strength and durability will remain unaffected. Wooden furniture can be treated with speciallly formulated care products to give a beautiful rich finish and enhance the look of the wood. 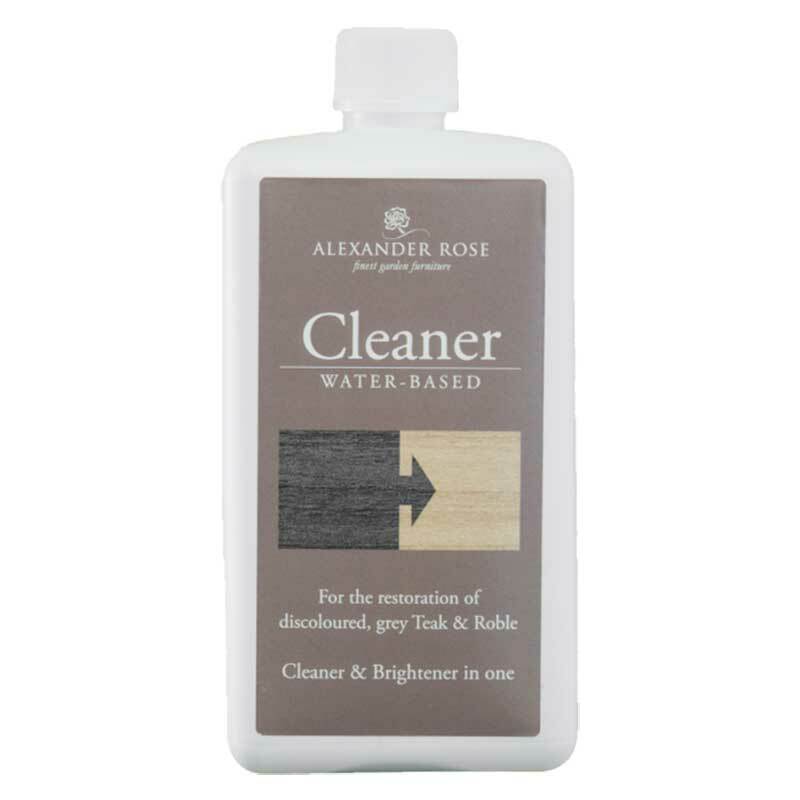 Alternatively it can be left to turn a mellow silver grey and should be cleaned occasionally with soapy water.